I did 2 doodles on the metro today and the rest during my grad project class.. 4 hours.. of grad project class ;). A lot of the following doodles where my responses to discussions happening around people's work. 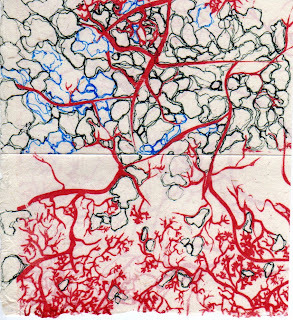 :D good because it's the bloodvessel texture print i used for those greeting cards..